This quote is a great reminder that we should always keep in mind. Doesn't matter how slow you are going in any goal that you are trying to achieve. 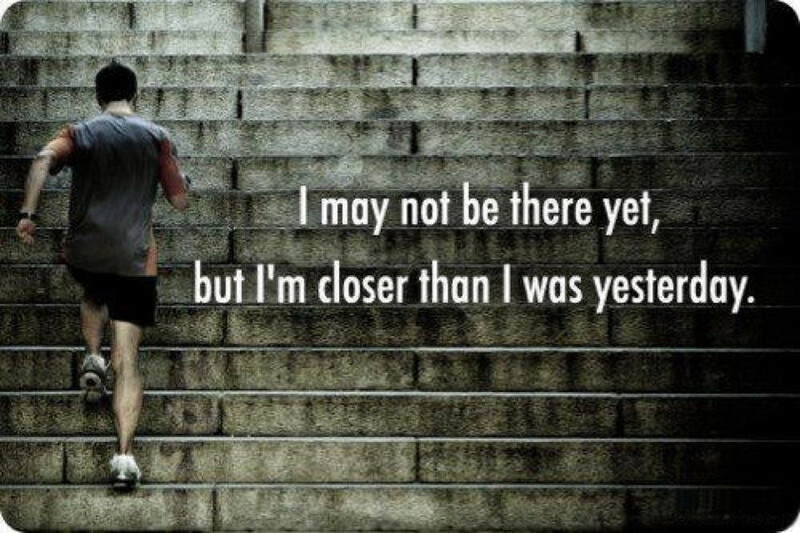 What matters most is that simply by trying you are getting closer. This quote is a great way to look at any big task. Instead of getting intimidated by what seems like a giant task, or goal, if you chip away at it gradually without stopping you will eventually achieve everything you set out to do. Just like climbing a mountain takes thousands of small steps, so does many things in life. So keep this in mind always, and never stop moving forward!